Dynarex Dressing Change Tray provides a convenient kit for aseptic dressing changes. It includes all the necessary items to perform proper dressing changes. 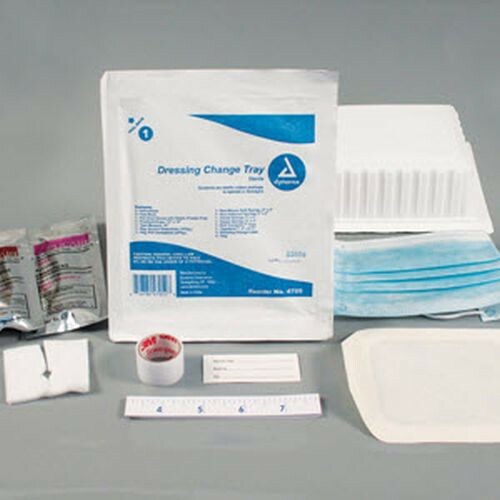 The Dynarex 4705 Sterile Dressing Change Kit eliminates the need to maintain inventory or gather loose items prior to a procedure. This single tray is cost-effective and disposable. You may also be interested in some other available dressing change trays, such as the Dressing Change Tray PICC Line and the Central Line Dressing Change Tray with ChloraPrep.